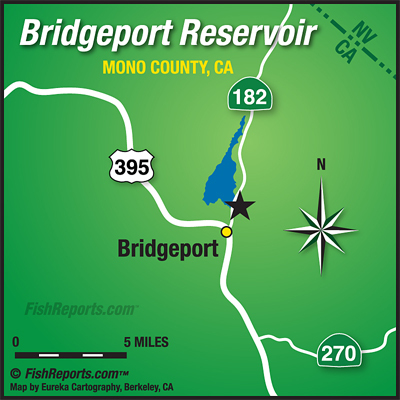 Bridgeport has been fishing on the tough side this past week, we've had several reports from anglers hitting it pretty hard and only getting into a few fish. We did however have a few anglers pick up some fish with bait from the shore down near the dam which is pretty good news for the future. The water is still a little green but with the colder weather water quality is getting better as the days go on. There's been a few fish caught trolling with small rapalas, needlefish and crawlers, some of the bait caught fish have been on power bait and inflated crawlers. Don't be afraid to move around if the fishing is slow where you're parked, sometimes you need to move around both on the shore and from boats to find where the fish are hanging out.